For the navigation 2018, 3 passenger ships, owned by "Vodohod", which would be operating on cruises with foreign tourists, underwent a massive renovation. The passengers' cabins along with public facilities have been upgraded to meet the quality standards. The number of cabins on the main deck has been reduced in order to extend the space of each cabin. The cabins of the middle and boat's decks have been renovated, and now "Deluxe" cabins are offered on these levels as well. In addition, the interiors and furniture of all cabins have been replaced. Due to changes in the cabins' layout, the carrying capacity of the ships has shrunk. Prior to the renovation "Kronshtadt" cruise ship could accommodate 270 people; "Fedin" 256 and "Chernishevsky" could accommodate 281 tourists, now this amount equals to 212 passengers. The renovation of the public facilities has involved works in the conference halls and in the ships' restaurants. The ship "Kronshtadt", for the first time, will be used to serve foreign tourists. This decision has been made to meet the growing demand from France, Germany, and other European countries. The ships "Fedin" and "Chernyshevsky" will be operating as in the previous seasons. The ship "Konstantin Fedin" has departed for the first cruise on 7th of May and would end the navigation season on 21st of September. 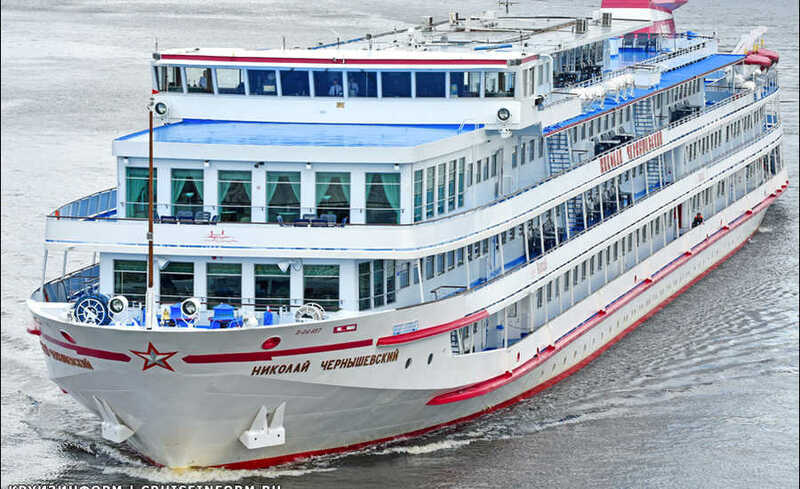 The "Nicolay Chernyshevsky" has started navigation on 11th of May and would operate till 7th of October, while cruise ship "Kronshtadt" would run from 4th of May till 9th of October. All above-mentioned cruise ships are operating along the popular cruise routes Moscow - St. Petersburg and St. Petersburg - Moscow with stops in Uglich, Yaroslavl, Goritsy, Kizhi, and Mandrogi.